The three Whisky Boys gathered for our first tasting of 2010, it was at Jim’s hoose at about 7pm on Thursday 7th January. We chatted for a little while and all agreed that we had all had a great festive season, with some nice Single malts being given and received as gifts. So tonight’s tasting is a Linkwood Whisky Provenance Bottling of an 11 Year Old Speyside Single Malt Whisky. The Speyside region is located at the North of the Cairngorm Mountains and goes to the M oray Firth. It is bordered by two rivers: the Findhorn at the West side and the Deveron on the East side. The area is named after the river Spey. Most of the distilleries take their water in one of its offshoots; the Fiddich, the Livet or the Avon. 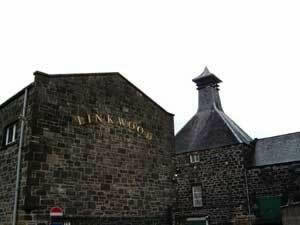 Located in wooded surroundings, just a mile south east of Elgin The distillery was established by Peter Brown in 1821. Named after the old mansion house that it was sited on. Linkwood’s water source is local springs near Millbuies Loch. You can check out on our website all the details about Provenance, which is part of the Douglas Laing independent bottling group, and one of the Whisky Boys favourites. Linkwood Speyside Single Malt Scotch Whisky Aged Over 11 Years, Single Cask Bottling, Sherry Cask. Distilled December 1992 Bottled September 2004. Non-chill Filtered. 46% Vol/alc. 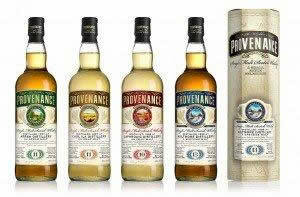 Bottled under The McGibbon’s Provenance Range. Nose…Spicy Christmas cake and pine resin. With water – fresh pears arrive. Finish…medium – dry and salty. Nose…Warm fruit cake with heavy sherry notes. Taste…Berries ( Forest Fruits) with underlying peat and earthiness. Finish…Leaves you feeling warm and cosy. Nose…You cannot miss the sherry cask influence, an oaky hint and maybe the slightest trace of smoke. Taste…As smooth as glass, spicy and soft, a gem of a wee dram. Finish…Short with a warming dryness. Well what a cracking start to the New Year, how good can these Independent Bottlings get? 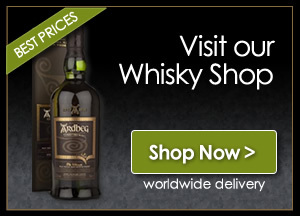 All you drammers out there should get down to your specialist Whisky Shop and go on the search for these fantastic drams, or even check out the internet. You can also click on our link on the home page. I think the Whisky Boys are getting together tomorrow for another tasting ( well someone has to do it) a Knockando 12 year old is on the menu. Look out for it in the coming day or so. Hope all our readers out there have a fabulous 2010 and enough drams to satisfy us all, cheers.